This is a great-looking item to display outside on the porch inside in the game room or anywhere you would like to know the temperature. 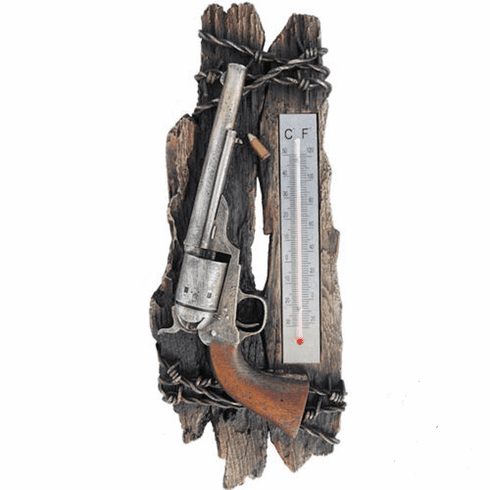 This highly detail handgun pistol wall thermometer is a molded piece that is hand-painted to look like genuine wood Bound by barbed wire with a handgun pistol attached. Super realistic looking and a great item to give to your favorite handgun enthusiast.